ATHOS uses laser-induced fluorescence (LIF) to measure OH and HO2 simultaneously. OH is both excited and detected with the A2Σ+ (v’=0) → X2π (v”=0) transition near 308 nm. HO2 is reacted with reagent NO to form OH and is then detected with LIF. The laser is tuned on and off the OH wavelength to determine the fluorescence and background signals. ATHOS can detect OH and HO2 in clear air and light clouds from Earth's surface to the lower stratosphere. 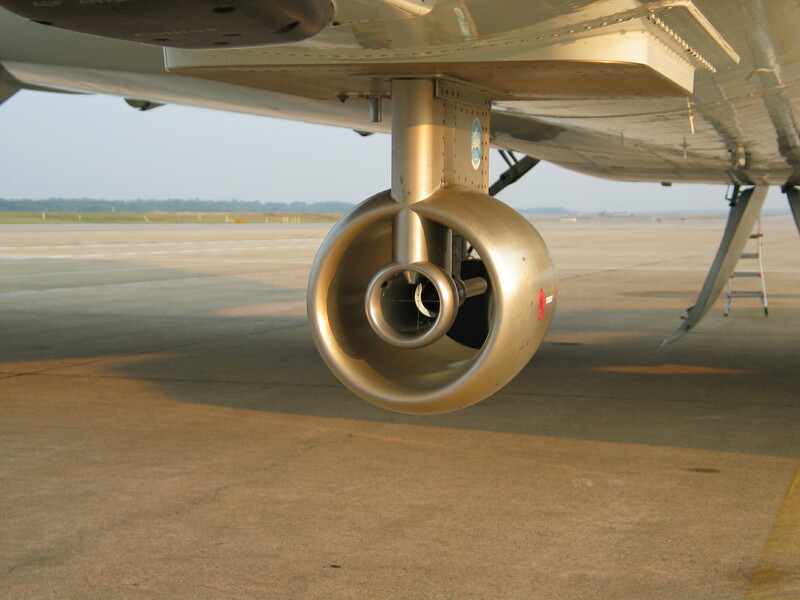 The ambient air is slowed from the aircraft speed of 240 m/s to 8-40 m/s in an aerodynamic nacelle. It is then pulled by a vacuum pump through a small inlet, up a sampling tube, and into two low-pressure detection cells - the first for OH and the second for HO2. Detection occurs in each cell at the intersection of the airflow, the laser beam, and the detector field-of-view.